As if the divorce itself isn’t tough enough and emotionally charged enough, it is unfortunately followed by dozens of legal, law and legislative issues. When two people split, the family law court and judges will find the best way for the children involved to organize children custody matter. It is not the rigorous rule, but in most cases, kids are assigned to the mother as residential parents and father get joint custody or visitation schedules if the court has opted for sole custody. The transitory period can be harsh on kids, especially if they are quite young and spending time with both parents requires significant effort and organizational skills. It leads to quite a standard issue when kids refuse to visit a non-custodial parent, which is usually the father. The reasons for this may be rather different, but it’s quite rare that kids refuse it due to father’s misbehavior, some abuse, neglecting or similar. The reasons are usually more basic. To go for regularly scheduled visitation to the other parent, children need to leave all their routine world and activities for a while and change the environment completely. This is enhanced if the other environment doesn’t include any friends or dynamic activities and comes down to sitting and chatting with the other parent. If mothers tend to present father in a bad context, this might even worsen the issue. However, since the child requires the presence of both parents in his life to have a healthy growth and development, it is rather important for both parents to overcome this problem. General advice to fathers is focused on organizing their time with kids in a different manner. Make it more creative, dynamic, fulfilled with games and toys and various activities interesting and attractive to children. This is the only way to get their attention and make them truly want to visit you, instead of simply following the orders. On the other hand, mothers should be proactive. Talk to the child and explain the importance of visitations. Insist on them. This is not only good for your child but will teach him to respect the other parent and enable him to overcome the mere divorce in the least troubling manner. 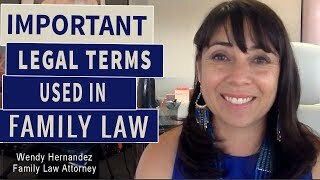 After facing this common issue within many Moms I represented in the court, I’ve decided to start providing complete services of parental family law and child custody consultations and advising on this matter to help divorced couples handle their kids’ behavior in the after-divorce period successfully.